Birthdays are special! Whenever we get an invitation to attend a birthday party, we are in quest of searching for a personalized gift idea. We try to find a gift that adapts to the taste and desire of the birthday boy or girl. When we buy gifts, we must pay attention to several things to make them according to the right age, and purpose. If you have a friend or family member who is always aware of the latest technological developments, he or she will undoubtedly be delighted if you give him the latest tech. For example, you can gift them the latest smartphones, tablets, or any similar gadgets. You can also gift drones to someone who loves technology, and you can find drones for both adult and child. Of course, now that Christmas is coming, we cannot forget those who shine the most: children. To succeed with the most appropriate toy, you have to take into account the child's age and also the skills that we want to promote in each stage of childhood to develop their creativity, intelligence, and personality. Do you want to make a beautiful and original gift? Making gifts is an increasingly complicated task. Each year it is more difficult to find something original and unique with which to surprise our closest friends and family. If you want a beautiful gift that does not go out of fashion, why not choose a beautiful bouquet of flowers? Flowers bring joy and color to any home, and there is always a perfect flower for each person and for each time of year. If you are going to give flowers as a birthday present, either in physical stores or online stores of plants and flowers, there is a wide variety of flowers to prepare a lovely gift to send to someone special. If you are thinking about giving your partner a flower gift on the birthday or on a date, and you do not know which will be the most appropriate, do not worry because we are going to give you some ideas about the flowers that they may like the most. Go ahead and give them a beautiful bouquet of flowers to show him/her your feelings. You can buy top flowers for a birthday to have plenty and prepare beautiful bouquets. A nice detail that is not exclusive to women because we all like to be surprised. Choose flowers of strong and striking colors and ask the florist to make a flower arrangement that is not too ornate, this can suit a lot of people. An orchid can be a gift that is very appreciated by women. Besides, this flower means that you feel a great affection towards that person. A bouquet of lilies, gladioli, tulips or exotic flowers is also perfect to give to a woman or a man on their birthday. Zen flower is another stunning bouquet material, which is sure to be very original and also great to decorate any table or corner of the house. It shows and gives a feeling of beauty of exotic flowers. You can also accompany the flowers with a bottle of wine and fruits; they go together very well. Roses are the most beautiful flowers of all. We love bouquets of red roses because of their size, color, and attractiveness. It is one of the most common flower bouquets. However, it does not get outdated. 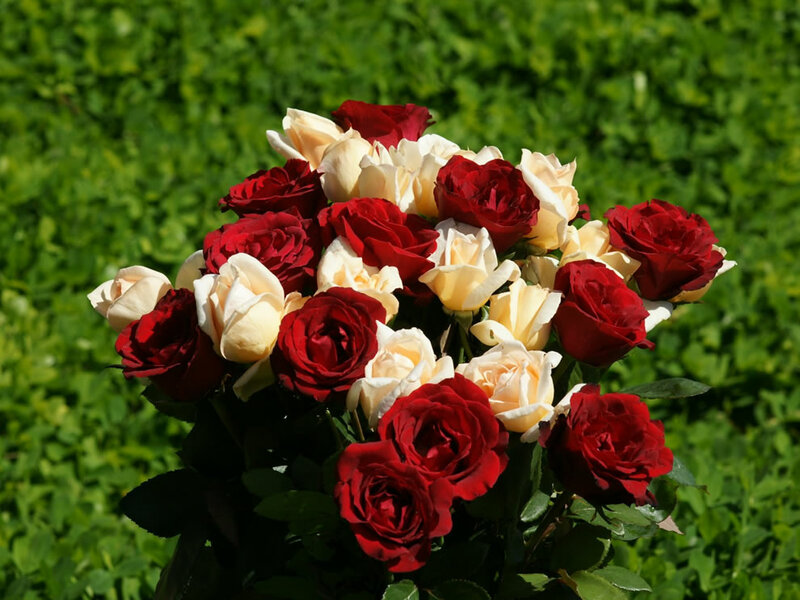 We advise you to give a bouquet of red roses to your partner or lover, white roses to a relative or friend in a ceremony such as a communion or a wedding. Gardenias are beautiful flowers to create eye-catching bouquets. Gardenia bouquets are fine and elegant. The intoxicating fragrance, the glossy, shiny leaves, and snowy white flowers make this an excellent wedding bouquet material. To make your flower gift more attractive, you can always take advice from your local florist and describe what you are planning and how you want to give a perfect give on that specific occasion. Remember, sharing those special moments are also the best part of giving a gift.